With the support of the French Ministry of Higher Education and Research, the Couperin Consortium and Elsevier have come to a new agreement that provides researchers at over 600 public research and higher education institutions in France access to the ScienceDirect Freedom Collection content for five years. 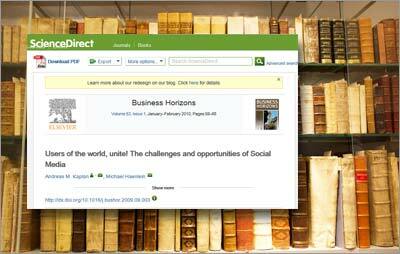 ScienceDirect is Elsevier' full-text database of 2,200+ peer-reviewed journals, 900 serials and 25,000 books. The Couperin Consortium is a network of research and higher education institutions and other organizations that evaluates, negotiates and arranges the purchase of electronic library resources for its members. The previous access agreement between Elsevier and Couperin encompassed 147 member institutions, but the ambitions of Couperin and the French Ministry were far greater. As a result, the ministry requested that Couperin work with Elsevier to extend access to researchers across all public and higher education institutions that fall within the scope of the ministry. After several months of intensive coordination, Elsevier and Couperin reached an agreement that provides access to 2,200+ Freedom Collection journals on ScienceDirect and is fully based on electronic content. The agreement adds new qualitative advantages for the French researcher community, taking into account several of the requests from the involved French stakeholders. William Rubens, Elsevier's regional director for France, explained that from now on, access to Elsevier's content will not be limited to those who are affiliated with a limited number of institutions. "Even if you're working with a very small institution, you'll have access," he said. "In whatever research field you're working on, you'll be able to find content that will support you in that project." The deal also means researchers will have access to research in fields that may not directly be related their own. "This reflects the increasingly multi-disciplinary nature of research and collaborations," Rubens explained. "Researchers who work offsite at a different university will still have access to the same materials as in their own library." Over the next five years, Elsevier, Couperin, the Agence Bibliographique de l'Enseignement Supérieur (ABES), and the French Ministry of Higher Education and Research have agreed to have annual meetings about the evolution of Elsevier's content and platform in terms of volume, usage, platform functionality, and changes in the French research landscape. "The aim is to have a regular review of the way the French research landscape is developing," said Rubens. "We want to make sure that we're serving the real needs of the community in a rapidly changing environment. Together with Couperin and the ministry we'll do our best to anticipate trends and the latest developments and adapt where necessary." 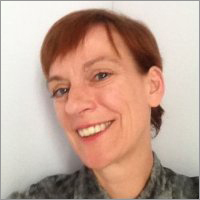 Harald Boersma (@hboersma) is Director of Global Corporate Relations at Elsevier. He is based in Amsterdam. 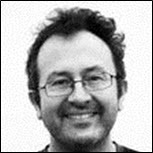 Should research data be publicly available? At symposium, participants ask: Are researchers ready to publish their data? Is the community ready to re-use experimental data?